Coming off a 2018 AMRA Top Fuel Harley Championship, Rider Chris Smith of PTS Racing is focusing all of his efforts this season on the NHRA. With over 30 years of two wheeled racing experience, the team prides itself on their goal oriented style and enthusiasm. Chris Smith began his NHRA Top Fuel Harley career with team owner John “Red” Rhea in 2017 racing in only one event. Rhea, most commonly known as Red, shares the same competitive vision as Smith; prove to be the best two-wheeled drag racing team in the world. 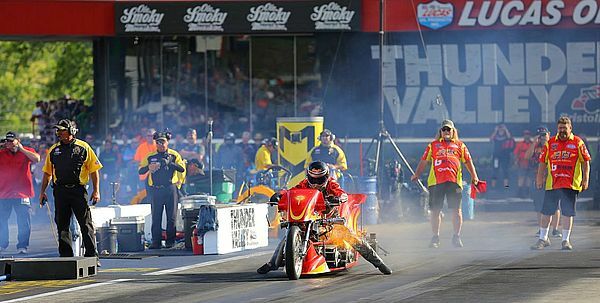 In addition to the 2018 AMRA Top Fuel Championship title, Smith also is the 2012 Nitro Funny Bike National Champion, and 2010 Super Gas National Champion. 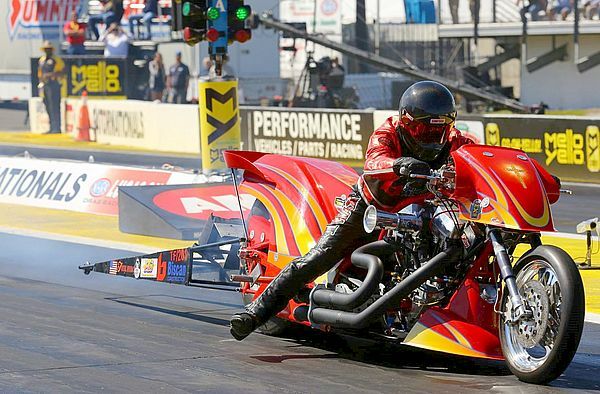 Chris Smith and the PTS Racing crew will begin their Top Fuel Harley title run at the 50th running of the Amalie Motor Oil NHRA Gatornationals in Gainesville March 14-17. About PTS: Serving the Nashville, Tennessee area since 1998, Powder Tech Services (PTS) is a family owned and operated business dedicated to providing the best quality powder coating finishes, media blasting and restoration services for our customers. The items that they powder coat range greatly in size and shape. There 21 foot oven allows them virtually unlimited flexibility. Whatever you need coated they can do it. Lawn or patio furniture; bike, car or motorcycle frames and parts; metal fabrication products; gates and fences; staging; lamp and sign posts; mail boxes; weight equipment; and much, much more!